Even high-rollers need a break from the gaming floor from time to time, which is why Forbes Travel Guide Five-Star Altira Macau is offering a relaxing package to help you unwind in style. 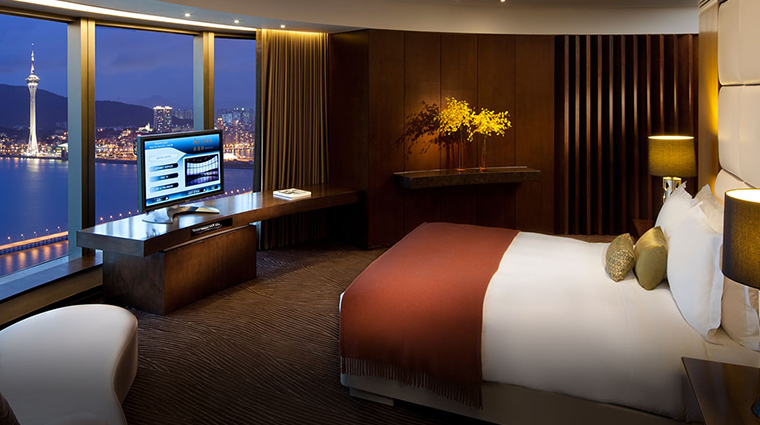 Book a three-night stay in a Waterfront View Room to enjoy winning Macau Peninsula vistas through floor-to-ceiling windows and receive a $150 credit to use toward muscle-melting treatments at Five-Star Altira Spa. The spa credit is valid for treatments, but not products. Unspent credits will not be refundable. 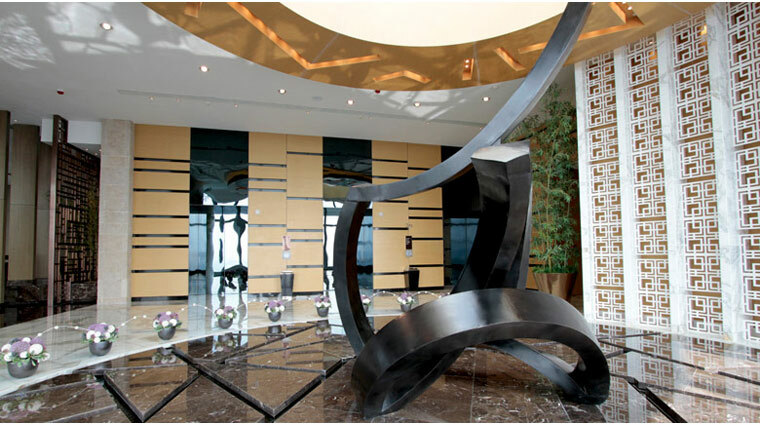 As the tallest building on Taipa, the Forbes Travel Guide Five-Star Altira Macau offers unmatched views of Macau Peninsula, with rooms that have floor-to-ceiling windows overlooking the sea. Translation: You’ll have a spectacular view no matter where you are in this sleek, contemporary full-service hotel. Guest rooms are decorated in earth tones of chocolate and sage and feature hardwood floors and spacious bathrooms. 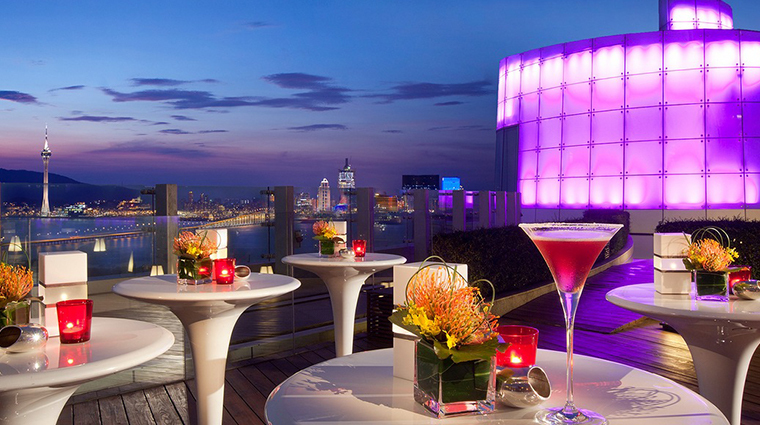 The hotel’s 38th-floor lobby and 38 Lounge (with indoor and outdoor seating) are greats spot come sunset for taking in the city’s lights while sipping a cocktail and listening to the nightly live jazz. 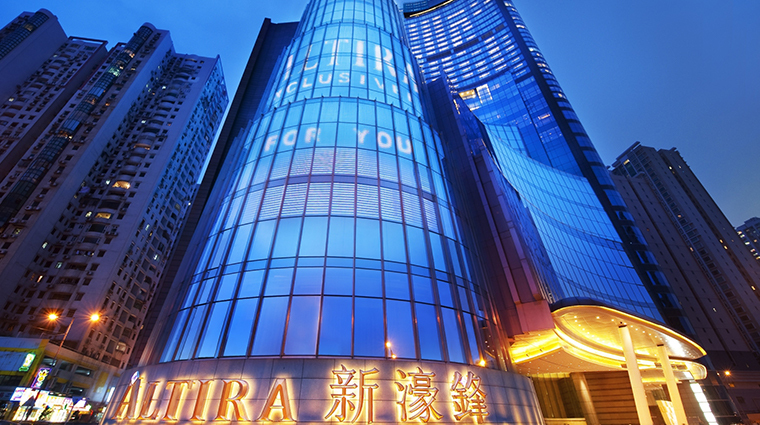 Altira takes the promise for personalized service seriously and if you want to do something special for someone staying at this Macau hotel, try one of the individualized services. With just a few days’ notice, the staff can embroider towels and bathrobes with any custom work or monogram you’d like. This is a romantic retreat. It’s the kind of place that makes you want to sip champagne and possibly pop the question. 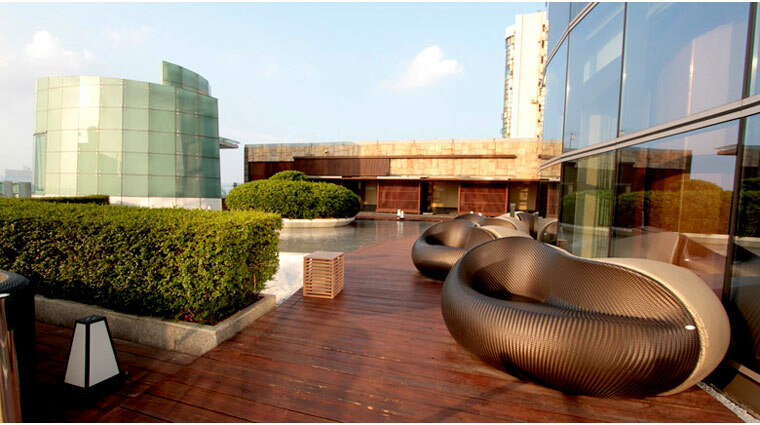 Nothing beats the views from this soaring hotel that looks out over the South China Sea with views of downtown Macau and its many bridges. It’s also just a short trip to Senado Square, where you can take in the culture of the city. 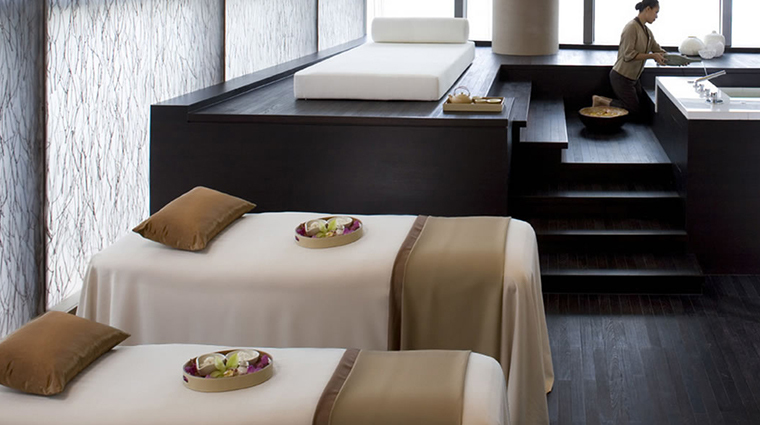 For supreme pampering, book a treatment at the Five-Star spa, which stretches over two stories. 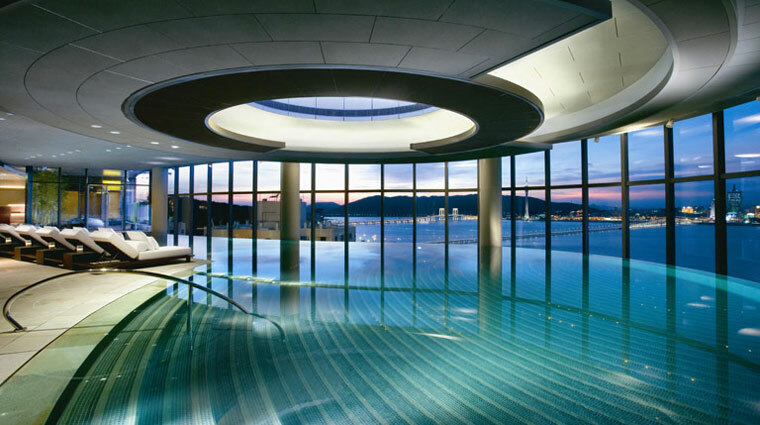 Don't miss a dip in the infinity pool with dazzling views. 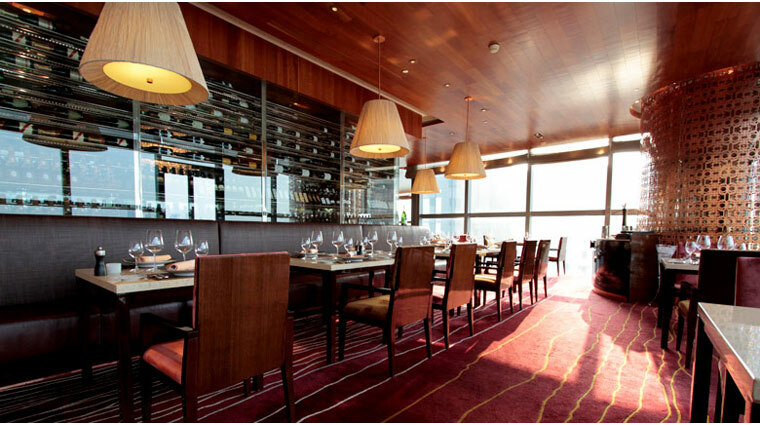 The boutique hotel is a dining destination. 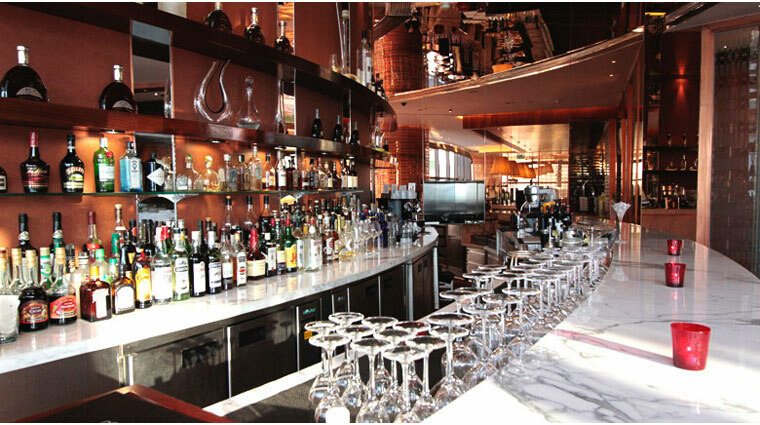 It boasts two Five-Star restaurants, Tenmasa, which specializes in Japanese tempura, and Aurora, which focuses on upscale Italian. Four-Star Ying also is a winner, with classic Cantonese fare. The rooms are outfitted with luxe Aigner in Leather bath products, which have a lightweight feel but strong scent. The lotion, shampoo and conditioner are top quality, but if you are sensitive to smells, you’ll want to pack your own toiletries or take advantage of Altira’s personalized service and ask if a less-fragrant alternative can be arranged. You can make Altira Macau a family vacation (restaurants are completely separate from the gambling areas so you don’t have to drag your little ones through the casino floor), but we don’t think this is the best place for kids. 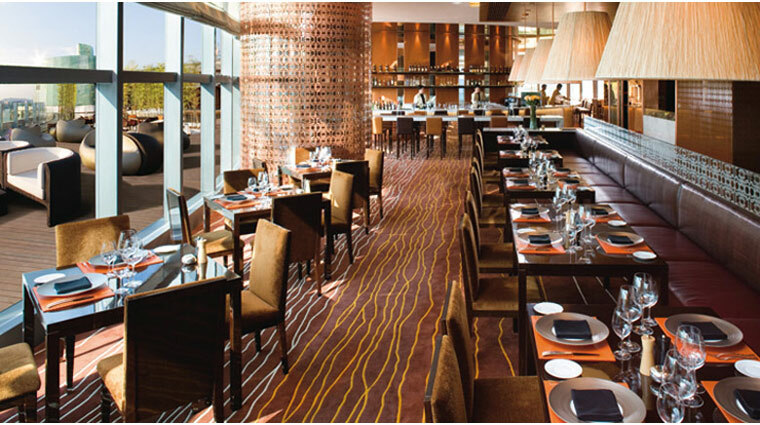 The Forbes Travel Guide Five-Star hotel’s casino culture is geared to the Chinese high roller. Like most hotels in Macau, there is a lot of smoking, almost everywhere, and though smoking in places like the elevator is discouraged, it happens and can be off-putting. One of the best times of the year to stay at Altira Macau is any weekend in September during the annual Macau International Fireworks Display. Warning: this is a major international event in Macau, and rooms at the hotel disappear quickly, so consider making reservations as soon as possible. 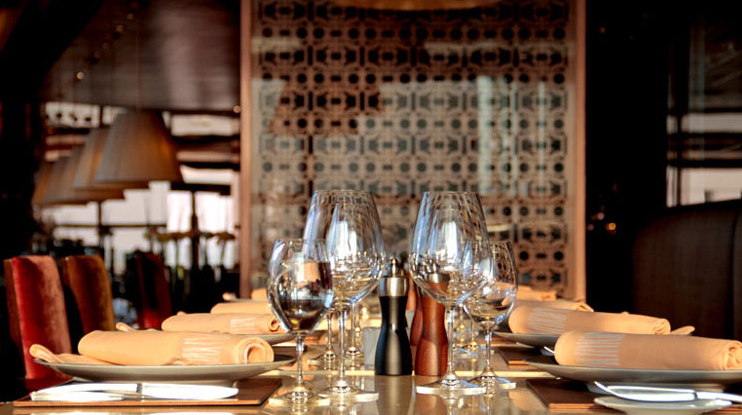 If you’re looking for a loyalty program at Altira Macau, you’re in luck. 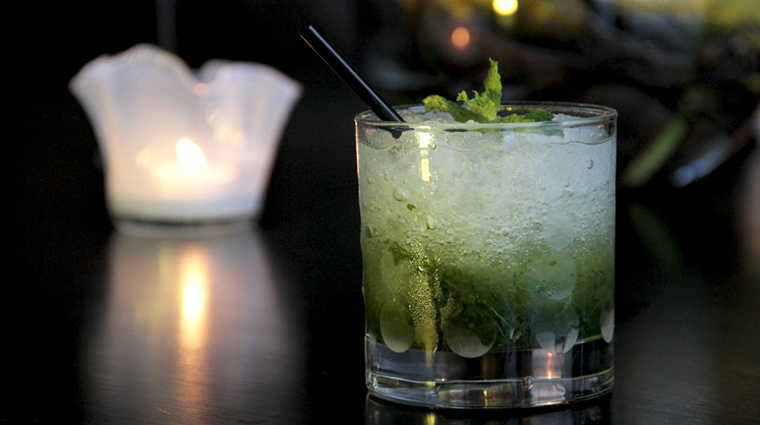 The Altira Club loyalty program is based around the casino and grants you access to a private gambling area where there are complimentary snacks and drinks. You’ll feel like you’re staying at a cozy, contemporary dream apartment in Altira Macau’s spacious, well-designed guest rooms, suites and villas. 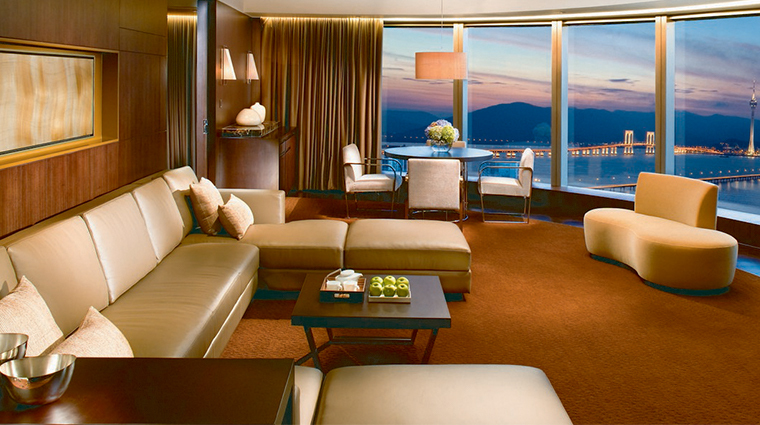 Plush carpeting and subtle accents such as soft throws help make these rooms feel like a home away from home, though not many of us have homes with stunning panoramic views of the South China Sea across the Macau Peninsula through floor-to-ceiling windows. Bathrooms in the suites at Altira Macau seem to stretch on for miles like all of the other spaces in this luxury Macau hotel's suites, which start at 1,300 square feet. They are, quite simply, massive with a wall of floor-to-ceiling windows, a spacious double vanity, a gigantic soaking tub and separate shower. Housekeeping services all guest rooms and suites at this hotel are cleaned twice daily and we loved the sweet-smelling Etienne Aigner bath products and the added amenity of a foot scrub left out on our beds. The closed curtains, dimmed lights, bottled water, fresh bucket of ice and the next day’s menu left in our room added to the experience. All guest rooms and suites are conveniently equipped with Apple iHome multimedia systems compatible with iPhones and iPods, so you can listen to your own tunes in the room as well as look at photos on the flat-screen plasma TV. 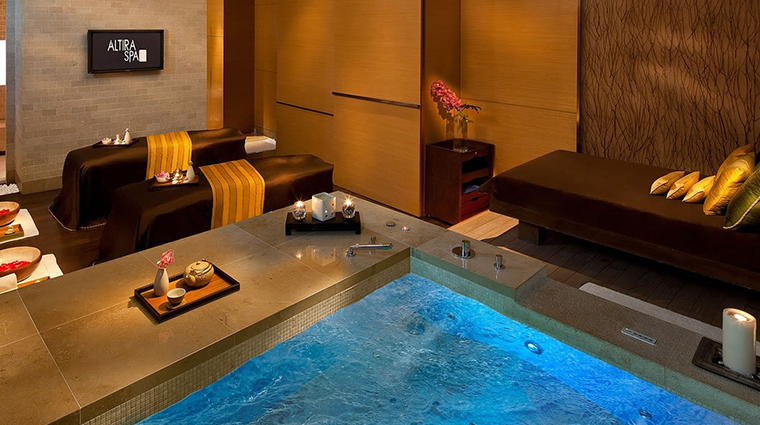 Designer Peter Remedios nailed the feeling that you are in a sumptuous home away from home at the Altira Macau. Guest rooms have a luxurious mixture of contemporary design with clean lines, soft accents, angular furnishings and lush textures. The color scheme and various textures give the rooms a sensuous feel, from the gold velour built-in couch to the cushy chocolate-brown carpet. 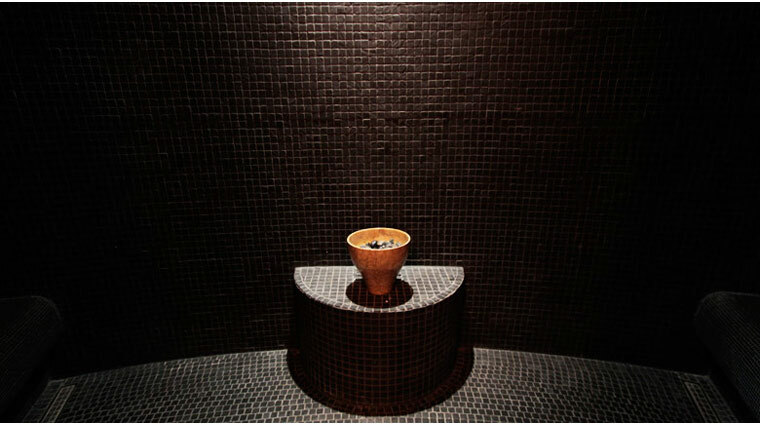 A couple’s room at the spa in the evening, with its dramatic views, whirlpool overlooking Macau’s brightly lit cityscape, and private steam room, daybed and massage tables provides the perfect look to accompany the end or start of your stay with your loved one.